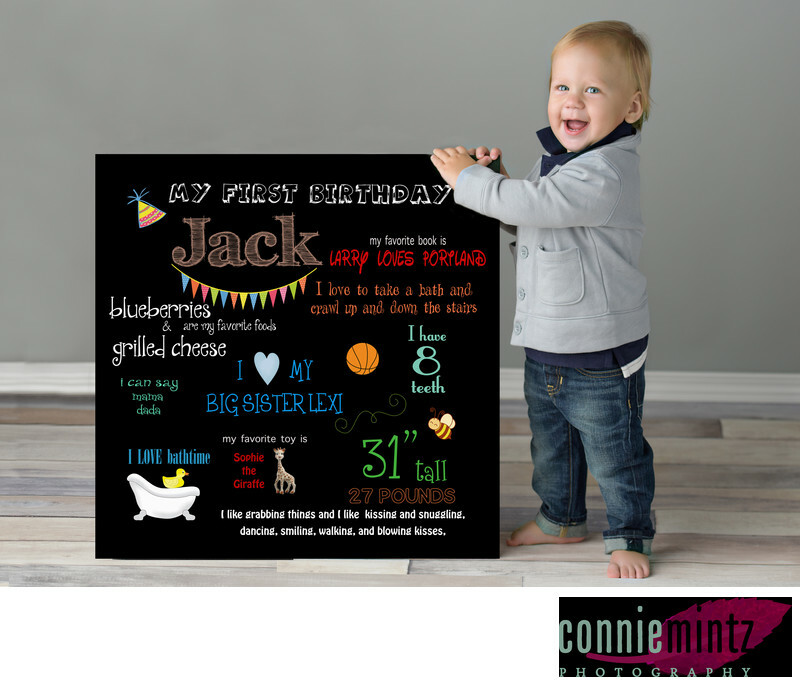 Photography session for one year announcement with an all about me board containing baby first year milestone. Keywords: jack (6), milestone (66), one year old (33), sister (6), studio lights (6), wood background (6). 1/125; f/3.2; ISO 160; 90.0 mm.